Oxford University Press, USA, 9780190627126, 256pp. 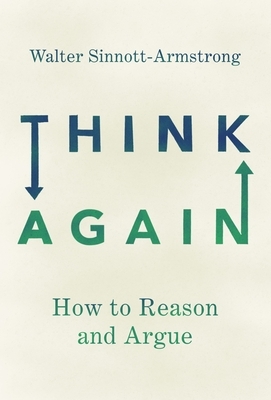 Think Again shows the importance of good arguments and reveals common misunderstandings. Rather than a means to persuade other people or beat them in an intellectual competition, Sinnott-Armstrong sees arguments as an essential tool for constructive interaction with others. After showing how the failure of good arguments has led us to society's current woes, he shows readers what makes a good argument. Walter Sinnott-Armstrong is Chauncey Stillman Professor of Practical Ethics in the Department of Philosophy and the Kenan Institute for Ethics, Duke University. He is co-instructor of the Coursera online course "Think Again."